Sometimes I really wonder about movie critics. On this disc, we find a theatrical trailer for Barry Lyndon that features quotes from noted reviewers of the era as they gush about the high quality of the picture. While I don't strongly disagree with their positive assessments of the film, I still can't help but wonder if they watched the same movie I saw. The remarks that puzzled me involved statements about the movie's lushness and its "magical" qualities. I also heard Ryan O'Neal's title character called a "likable rake." In truth, Lyndon is more a ho than a rake. The man displays many characteristics, but “charming” or “likable” aren't among them. In truth, Lyndon's a rather nasty guy, a person who clearly cares little for anything other than his own advancement and material success. Set in the 18th century, Redmond Barry (Ryan O’Neal) comes from a less than prosperous family. He charts his path through life and society, a road that leads to his marriage to wealthy Lady Lyndon (Marisa Berenson) and the new name of “Barry Lyndon”. At the core, Barry aspires to nothing more than wealth and prominence. Interestingly, O'Neal offers a pretty bad performance as Lyndon but ends up accurately portraying the character. O'Neal seems stiff, wooden and flat, but in reality, that's probably the way Lyndon should appear. Lyndon seems to be a virtual cipher, a fairly dull-witted guy with few obvious talents who gets by on his good looks. Hmm - sound like any actor you can recall? I don't know if O'Neal actually tried to play Lyndon as such a dud, but it works well. As for the other critical statements, I can understand them more than the "likable" bit, but they still seem inappropriate. One calls Lyndon a "gorgeous dream of life." Huh? As happens with many other Kubrick films, the movie depicts a rather bleak, cynical view of humanity in which unhappy or selfish characters dominate. While some of the settings indeed seem lovely, the goings-on are not very pleasant. Although Lyndon presents a period piece, don’t expect one of those lush romantic epics. It becomes the least sentimental and warm-spirited film of its sort I've seen. Kubrick always seemed to be an “objective” filmmaker who rarely put a slant on the action in his films. Instead, he showed what he showed and left it up to the viewer to form an opinion. While this made his movies more open to interpretation than most - which is why I can't completely discount the odd viewpoints of the critics - it also made the films appear rather cold and harsh. Lyndon completely lacks any sense of romance or warmth, and I developed little affection for the characters. Marisa Berenson's Lady Lyndon elicits sympathy, but that sentiment seems tinged with pity, as even she fails to provoke a positive reaction. She appears like such a fool to join with Barry that I don't feel terribly bad for her plight. Despite the iciness and impartiality of his work, Kubrick often seemed like something of a moralist, as the theme of "you shall reap what you sow" appeared frequently in his films. Lyndon offers no exception. Barry does unto others in a less-than-positive way and thus they do unto him. Rarely will Kubrick characters escape unscathed from their negative dealings. Getting back to the critical statements, I think many of these descriptions of the film really missed the point. Some folks seemed caught up in lavish sets and costumes and ignored the fact that Lyndon becomes a surprisingly personal "epic." I put that last word in quotes because although the action spans many years and settings, Lyndon seems like an anti-epic to me. The typical epic pours on the spectacle and creates a big statement - look to flicks like Ben-Hur or The Greatest Story Ever Told for prime examples. Lyndon, on the other hand, sticks close to the sordid tale of a seedy man. It lacks the outsize nature of an epic, despite whatever other characteristics it may share. Lyndon presents a film I admire but I'm not sure how much I like it. To be frank, I think that interpretation fits with Kubrick's technique in the long run, as he didn't make very likable films. These works were technically proficient and well-executed but left little for the audience to find charming or endearing or uplifting. This isn't a knock on Kubrick, as I certainly feel that films should not restrict their scope to "feelgood" sagas. As such, I find Barry Lyndon to be a fairly compelling movie that certainly achieves its goals. 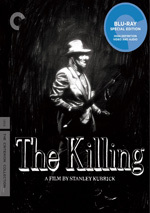 While it doesn't enthuse me, I feel it delivers definitely one of Kubrick's better films. One piece of trivia: at one point during Lyndon, we hear mention of an artist named “Ludovico Cordi”. I thought this name sounded familiar, and I quickly realized that Kubrick offered a sly reference back to the “Ludovico Method” in 1971’s A Clockwork Orange. Barry Lyndon appears in an aspect ratio of 1.78:1 on this Blu-ray Disc. A challenging image, the Blu-ray reproduced it well. Lyndon featured a luminescent and mildly gauzy style throughout the film. Kubrick apparently used no artificial means to light any scenes, which meant that natural light and candles comprised all of the sources. Along with the semi-romantic glowing tone given to the film, these decisions could have been a recipe for disaster, but they showed no ill effects. Sharpness looked consistently fine, as the entire movie appeared well-defined within the confines of the cinematic choices. Despite the vaguely soft look featured throughout the flick, I saw no truly fuzzy or indistinct images. The movie featured virtually no signs of moiré effects or jagged edges, and it also lacked print flaws. With an appropriate layer of grain, I didn’t suspect any noise reduction issues, and edge haloes remained absent. Within the constraints of the film’s radiant stylization, Lyndon featured colors that were fairly subdued. The movie showed a nicely natural palette that always seemed clean and concise. Red tones were vivid and rich, while the many greens of the outdoor segments looked accurate and lifelike. The various colors didn’t appear “eye-popping”, but then again, they shouldn’t offer stunning brightness. The hues were intended to seem soft and gentle, and the disc reproduced them well. Black levels appeared deep and dark at all times, and shadow detail was also strong. Because the film lacked artificial lighting, it offered many dim scenes; in particular, nighttime interiors provided particular challenges, since they were illuminated only by candlepower. Nonetheless, the image always appeared appropriately visible, with no excessive opacity on display. This became a consistently pleasing presentation. In place of the original monaural, the Blu-ray offered a remixed DTS-HD MA 5.1 soundtrack. For the most part, the soundfield appeared fairly subdued, as most of the film essentially remained monaural. Effects spread nicely to the sides on occasion, and they created a pretty decent ambient environment. Localization of a few elements seemed positive, and the effects panned neatly at times. For example, a cart might travel from one side to the other, and the mix made this seem natural. Various battles offered the best opportunities for activity. Though they never became too showy, military scenes and duels provided some nice spread to the side channels. I particularly liked one sword contest, in which the swishes of the blades flittered cleanly in their appropriate locations. War scenes also created good placement of sounds, and they became mildly engrossing. Nonetheless, most of the effects remained centralized, and the film’s music featured the strongest stereo elements. The score was blended quite nicely across the front speakers, as the various elements were well-defined and neatly placed. The music also moved into the rears, as the score was the main component heard in the surrounds. Some effects also cropped up back there at times - particularly during the louder battles - but for the most part, rear usage was limited to pleasant reinforcement of the music. The 5.1 mix of Lyndon created a smooth and clean environment that seemed satisfying. Audio quality also worked well. Speech seemed surprisingly warm and natural throughout the film. The lines weren’t quite as distinct as they’d be for a more modern film, but given the movie’s vintage, I was impressed by their warmth. Speech demonstrated no signs of edginess or problems related to intelligibility. Effects also seemed surprisingly clean and distinct, though they felt a little more problematic than did the speech. For the most part, the various elements sounded accurate and realistic, but some thin tones affected a few aspects of the track. The film’s score showed no problems, however. I thought the music always seemed smooth and lively, as the period tunes were exceedingly well-reproduced. Bass response was nicely deep and rich, and the highs sounded clean and distinct. This was a pretty good mix for an older movie. How did the Blu-ray compare to the DVD from 2001? Audio was a bit warmer and more natural, and visuals seemed tighter, cleaner and more dynamic. The Blu-ray took a good DVD and made it better. Don’t expect extras here. We get the theatrical trailer I mentioned earlier in the review and that’s it. 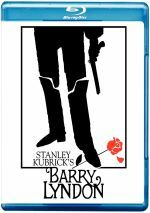 While Barry Lyndon wasn’t Stanley Kubrick’s best film, it certainly stands closer to the top than to the bottom. Actually, I regard it as the last almost-great movie he made. 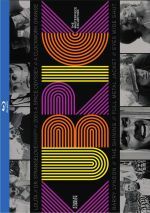 The Blu-ray presents very good picture and audio but lacks supplements. Despite the absence of bonus materials, the movie’s presentation makes this a solid release.